BOTTOM LINE: Blake Griffin leads Detroit into a matchup against Washington. He ranks tenth in the league scoring 26.1 points per game. The Pistons have gone 16-13 at the Little Caesars Arena. Detroit is 8-15 in games decided by 10 points or more. The Wizards are 17-21 against Eastern Conference opponents. Washington is fourth in the Eastern Conference scoring 49.5 points in the paint per game, led by Bradley Beal averaging 10.0. The Wizards won the last meeting between these two squads 101-87 on Jan. 21. Trevor Ariza led the way with 20 points. TOP PERFORMERS: Andre Drummond is averaging 17.1 points and 14.9 rebounds for the Pistons. Griffin is shooting 49.6 percent and has averaged 27.7 points over the last 10 games for Detroit. Jabari Parker is second on the Wizards with 7.5 assists and scores 13.5 points. Bobby Portis has averaged nine rebounds and added 20 points per game over the last 10 games for Washington. LAST 10 GAMES: Wizards: 4-6, averaging 117.8 points, 39.5 rebounds, 31.4 assists, 7.7 steals and 3.6 blocks per game while shooting 49.2 percent from the field. Their opponents have averaged 120.1 points on 50.1 percent shooting. 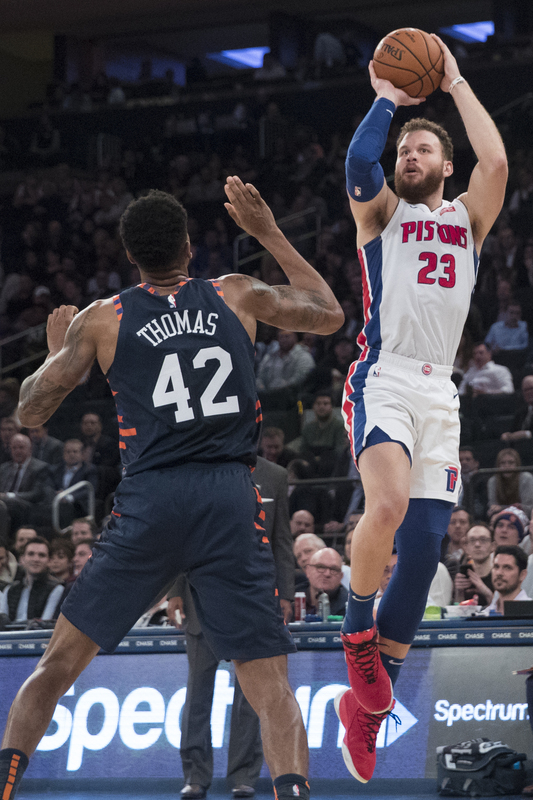 Pistons: 5-5, averaging 104 points, 45 rebounds, 23.8 assists, 5.6 steals and 4.1 blocks per game while shooting 44.4 percent from the field. Their opponents have averaged 101.7 points on 45.6 percent shooting. Wizards Injuries: Troy Brown Jr.: day to day (ankle), Dwight Howard: out (back), Jeff Green: day to day (left hip tightness), John Wall: out for season (left achilles).